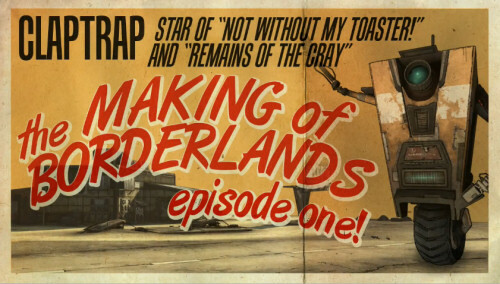 Gearbox has just kicked off a new series of promo clips for Borderlands, the first which introduces a little robot named Claptrap. If you attended the Gearbox Panel at PAX 2009, well then you've seen this. If not, well then you need to watch it. The video attempt to describe the game's randomly generated monsters...but there's some...uh...difficulties. The RPG-shooter arrives on the PC, PS3 and 360 on October 20th and features 4 player drop-in/drop-out co-op. Swell! More to Come For Borderlands? Page created in 0.2487 seconds.